Mount Wrangell, Mount Zanetti, Wrangell - St. Elias National Park, Alaska. Willow Lake, frozen and snow covered, view across the Copper River basin to Mount Wrangell and Mt Zanetti, winter, alpenglow on the mountains, Wrangell – St. Elias National Park and Preserve, Alaska. “only for a moment, and the moment’s gone” – Kerry Livgren. 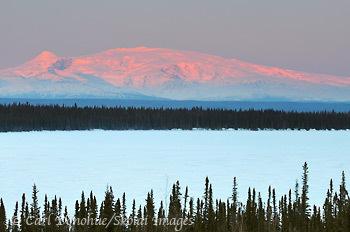 Mount Wrangell, and Mount Zanetti glow at sunset. Viewed from Willow Lake, near the Richardson Highway. Soon after, the light faded, and I headed home. 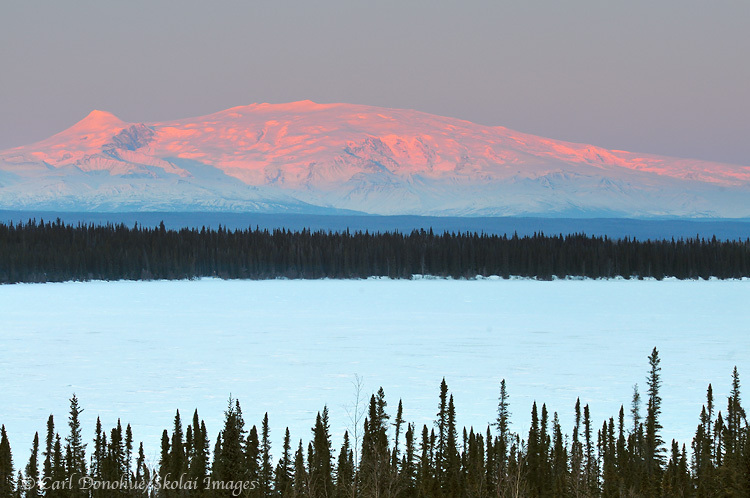 This entry was posted in Adventures, Alaska, Landscapes, Winter, Wrangell - St. Elias National Park and tagged Landscapes, Mount Wrangell, Mount Zanetti, Richardson Highway, scenics, Sunsets & Sunrises, Willow Lake on March 6, 2011 by Carl D.